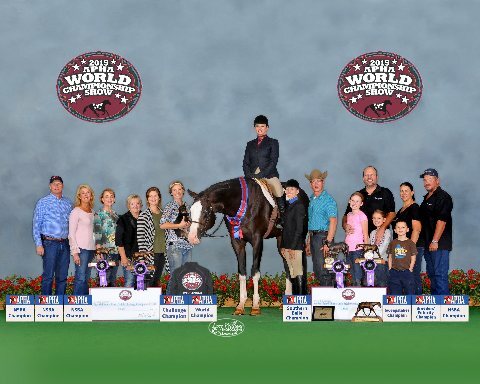 Libby is by 3X Res World Champion stallion R Big Time Fancy out of Plain Proud who is a JC/APHA double registered TB mare who has produced many champions and APHA World Show top 5 horses! A super pedigree on this fabulous moving mare! Libby is as sweet as they come and oh so quiet with the kids!! 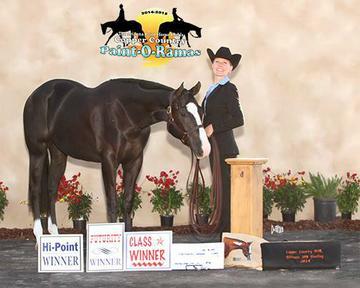 Libby has many APHA, AQHA and PtHA points and numerous show and club high point awards. 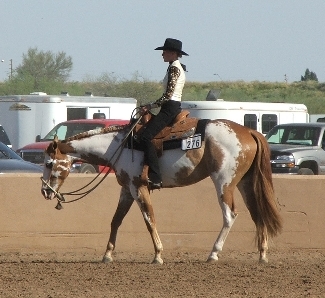 She has earned her Superior in Western Pleasure and Showmanship as well as points and ROMs in multiple events. 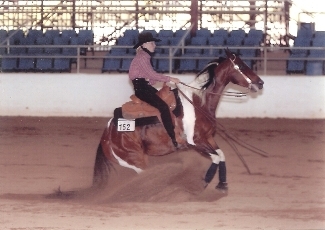 She is also a multiple futurity winner. 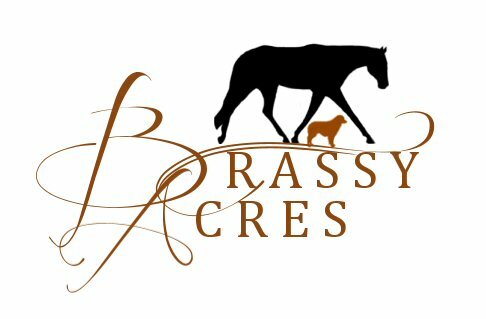 Watch for Libby in the Western Pleasure and Showmanship with Nicole, Walk-Trot with Hope and the Leadline with Gracie! "Neo" is as sweet as they come!! Tall, elegant and everything we could have hoped for!! 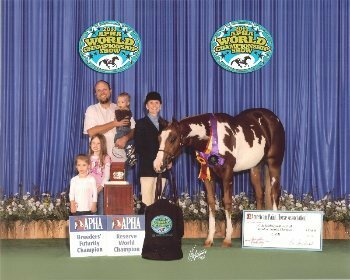 APHA WORLD CHAMPION Open 3yr old HUS - Unanimously!! 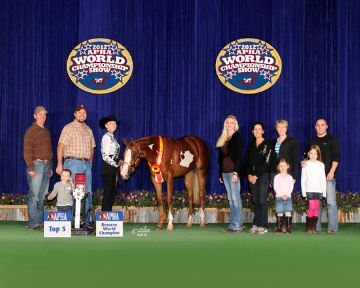 APHA World Show Champion Open 3yr Old HUS Challenge - Unanimously!! APHA World Show Champion 3yr Old HUS Futurity - Unanimously!! APHA World Show Champion Non Pro 3yr Old HUS - Unanimously!! 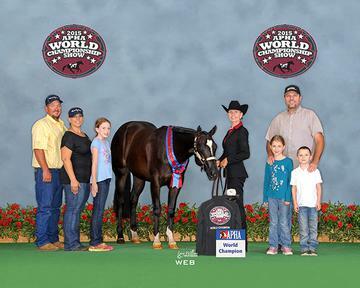 APHA World Champion Jr HUS!!! 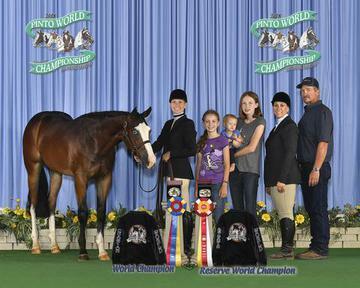 APHA World Champion Intermediate Amateur HUS!!! 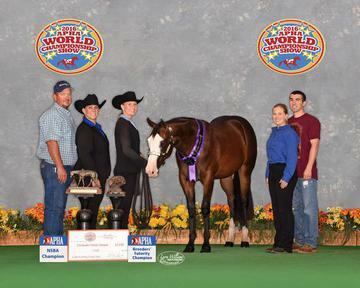 APHA Res World Champion Novice Amateur HUS!!! 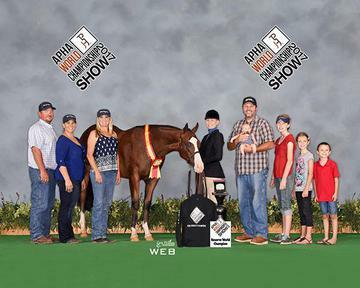 APHA Congress Champion Jr HUS - Unanimously!! "Katniss" is the sweetest filly and has such a puppy dog personality!!! She is just like her siblings and we love her to pieces! 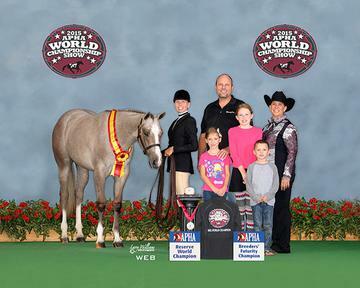 7x APHA World Champion - UNANIMOUSLY!! 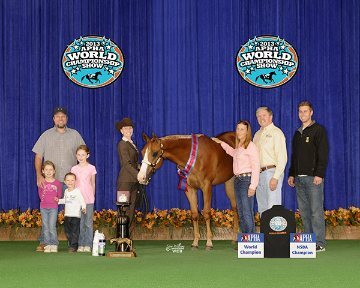 4x APHA World Show Futurity Champion - UNANIMOUSLY!! 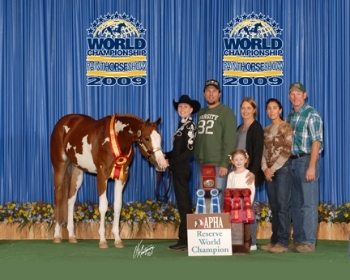 APHA RES WORLD CHAMPION AMATEUR YEARLING LONGE LINE!!! "Spring" is everything we could have hoped for! She is tall, pretty, elegant and sweet! This filly is super stick legged and has a great hock! 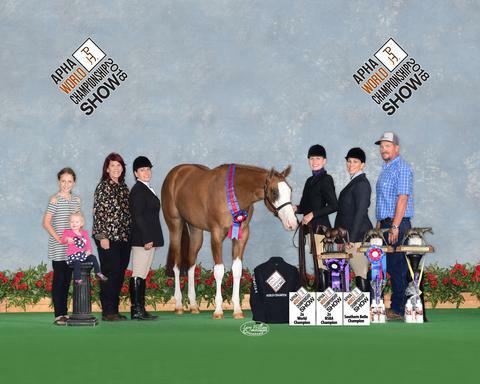 Jada is by AQHA Super Horse and Congress All Around Champion The Krymsun Kruzer and out of the phenominal 17h mare Fancy N Blue Jeans!!! We are so beyond excited to have this amazing filly!!!! Her future is so bright and we cant wait to show her!! 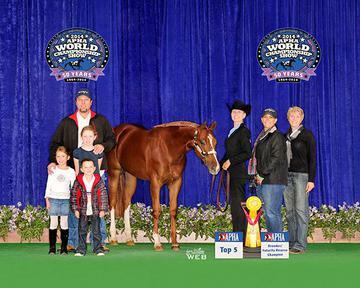 A HUGE thank you to Kari Dennis for breeding this wonderful filly and to Stacey Holyoak for selling her to us!! We love her so much already!!! Sky is such an amazing girl! She is tall, pretty and great legged! Holding both regular registry Paint papers and white Quarter Horse papers, we are so excited to show this filly on both circuits in the future! A HUGE thank you to Chad Mills for the opportunity to own this fabulous girl!!! We cant wait for our future together!! "Willow" is such a fancy filly with a great personality!!! She is out of our amazing legged All Time Fancy daughter and moves just like her mother! This filly is the whole package and super sweet! "Stixx" is just such a stunning boy!! He is very correct, HUGE, SOOOOO quiet and just lopes in place. We are soooo happy with this special boy and cant wait to watch him mature!! String tests to 17.1!! "Gabby" is such a pretty girl. So very correct, big bodied and tall. This girl just points her toe and can rock back and lope. Very slow and flat. 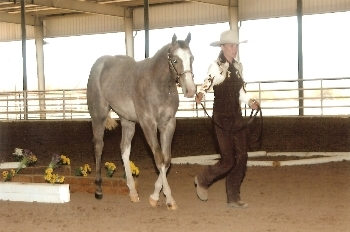 This fillies mother is a 16.2h amazing legged mare and oh so pretty!! "Becca" is such a big beautiful girl. She just gets prettier and bigger every day!!! This filly is a big mover and string tests to 17.2!!! Becca is out of a Res World Champion HUS daughter of All Time Fancy by the great double registered stallion, NLF On The Catwalk. We cant wait to show this filly in the future and then we will keep her back for our broodmare band. With the movement, size, conformation and color this filly has, she will be an asset to our program! 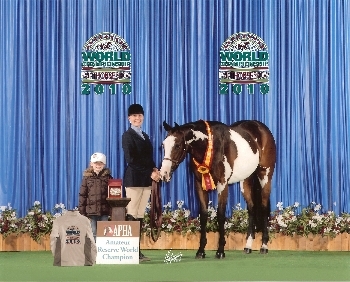 Click here to see her World Show video. Multiple Longe Line and In Hand Trail Futurity Winner!! "Suri" is such a beautiful, sweet girl. She is as pretty and agile as they get! This filly is a phenominal mover and has a pedigree full of amazing movers and performers. 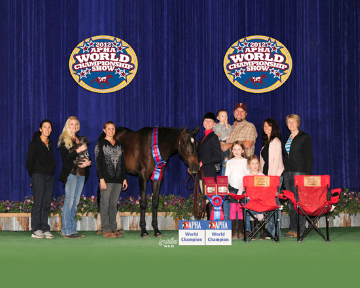 Suri is by Res World Champion Double Up Investment , who produced the 2011 AQHA Congress 2yr old HUS horse. She is out of a mare who is by The Big Sensation (7x World & Res World Champion) and out of Deversi Dee (3x Res World Champion producer who has 9 of 10 performing foals). Here is a video of her as a baby https://www.facebook.com/video/?id=1130415914#!/photo.php?v=281083515237970 Here is her World Show Longe Line video https://www.youtube.com/watch?v=38XlK0F8KN0&feature=plcp. Suri has been sold and we cant wait to watch her in the future! "CeCe" is the so sweet and easy to be around!! She is just gorgeous to look at and wow can this beautiful girl move!! 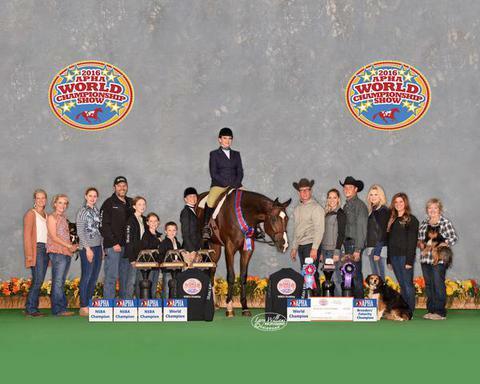 Her sire is making quite the name for himself in the AQHA world and is bound to be the next big sire! 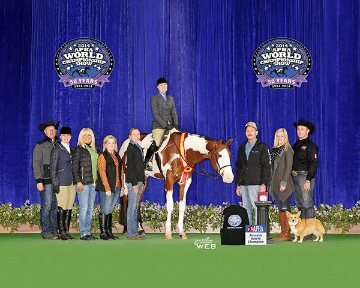 He was Reserve at the AQHA Congress and the Tom Powers as well as many other top placings in the tough 2yr and 3rd year old pleasure classes! 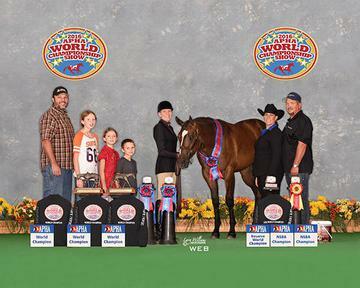 CeCe's mother is a multiple futurity Champion as well!! CeCe has been a pleasure to work with and I cant wait to show her at the major LL futurities this fall!! Cece has been sold and will continue her winning under saddle this year! All with limited showing in some VERY tough competition!! Also the winner of multiple futurities!! 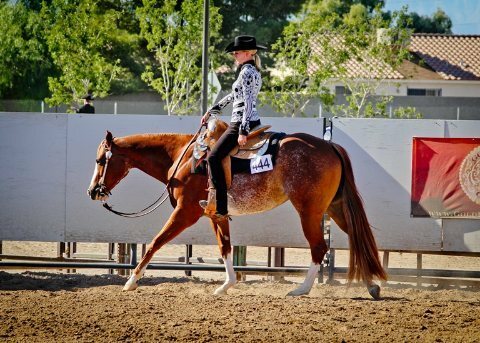 Click Here to see Sara's video with only 45 days (@20 rides) under saddle! All with limited showing in tough competition!! "Sara" has been sold and will be sweeping the HUS in the future!! I cant wait to watch this sweet girl show! Congrats Nancy!!! 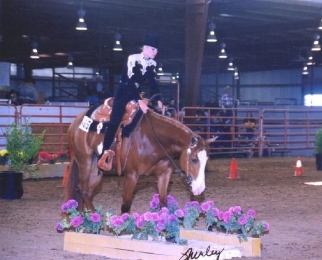 "Squirty" is a once in a lifetime horse and she has been retired from the show ring! Enjoy the pasture Squirty, you surely deserve it! Slider had a super colt for us in 2007 by multiple world champion "Mark This Spot"! "Slider" has been sold and will be producing some of the best babies there are! She will be very missed! "Miracle" has been sold and will continue his show career in Washington!